Step back in time and explore one of the world’s greatest storehouses of knowledge about the Dawn of the Dinosaurs. Discover fossils from a time when the desert Southwest was a vast humid basin crossed by broad meandering rivers, crawling with strange creatures and covered with towering trees and a dense undergrowth of strange leafy plants. 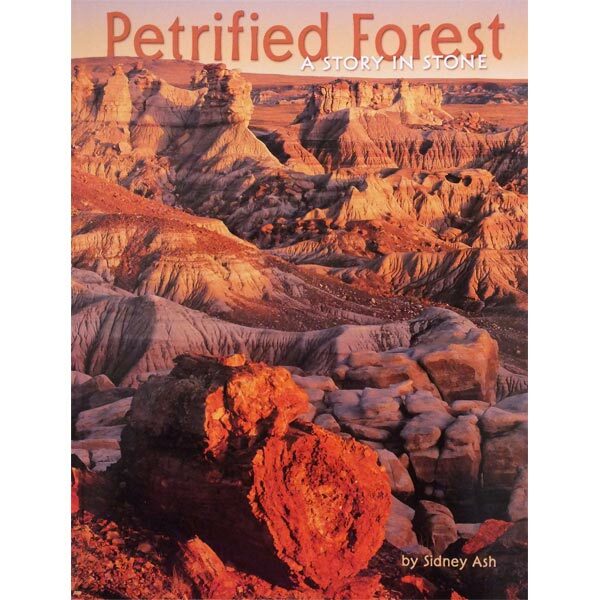 Remarkably preserved by the fossilization process, the remains of an entire Late Triassic ecosystem are illustrated in Petrified Forest: A Story In Stone. The enlightening text by Dr. Sidney Ash, an expert on the fossilized plants of Petrified Forest National Park, and the spectacular color photographs of the park’s natural history and beauty offer timeless appeal that crosses generations.